How can I search old or deleted iPhone messages ? How can I search old or deleted iPhone messages? How to search old or deleted iPhone messages? This article helps users know how to retrieve old or deleted iPhone messages. Anyone help please! How can I search and read old text messages? Trying to search old or deleted iPhone messages? To avoid browsing through hundreds of contacts or messages in an effort to locate that one important message you are looking for, please go to Messages. Launch the search bar from within the app itself. This is done by swiping the finger down while viewing the list of messages. Start typing for keywords to find real-time results. What if you can’t never find specific messages? Stop panic, iFonebox can help you. 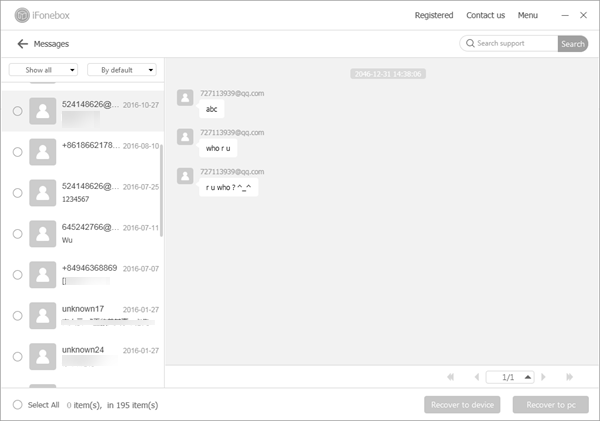 If you confirm that your old messages have been lost already, you need iFonebox to retrieve them as soon as possible. As a professional iOS data recovery software, it is able to recover as many 17 kinds of missing data in various scenarios. No matter how you lose data on iPhone, iPad or iPod touch, there’re always a great chance to get them back. 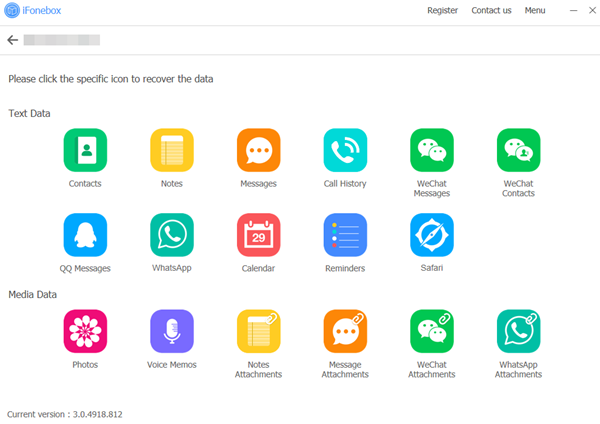 Go to: How can I recover WeChat messages that vanished after an update to iOS 11? 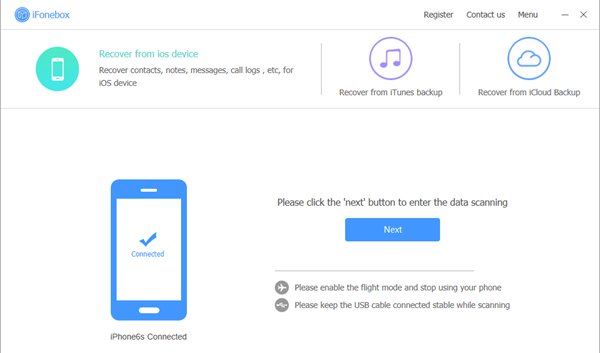 iFonebox provides a novel way to undelete old or lost iPhone messages, even if you’ve never backed up your device to iTunes or iCloud before. This is because it is able to detect right through your iPhone and extract target data after an exhaustive scan. Furthermore, you don’t have to restore the whole backup for only missing items, iFonebox makes it easier that retrieve data from backup separately. We’re always pursuing convenient and time-saving way to recover our data. iFonebox, an amazing software that is easy to use and works exceptionally well on almost all iOS devices, and there are two versions accessible for your computer: Mac version and Windows version. The operation interface is intelligent, the following is the step-by-step guide on mode Recover from iOS device.